The stated bottle code of this entry (SD829) is probably not the actual bottle code, but a glass code found on the bottom of the bottle. 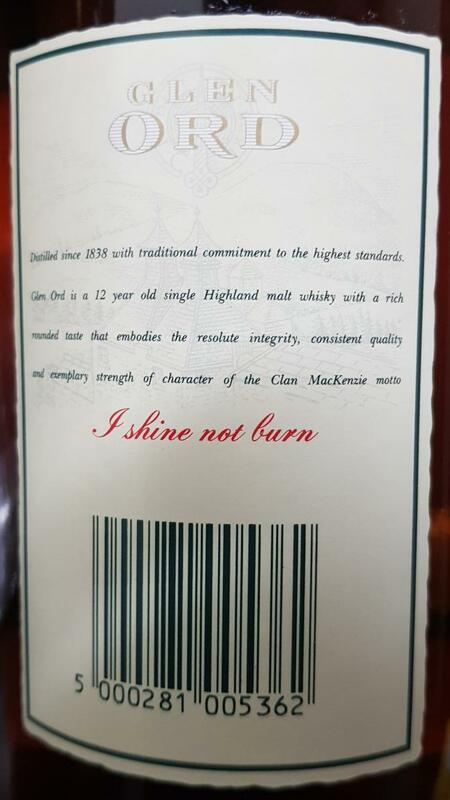 The actual bottle code is probably hidden on the back of the front label. Would love to see this corrected by OP. Quite a good and complex dram for its age. A good bottling from the past. 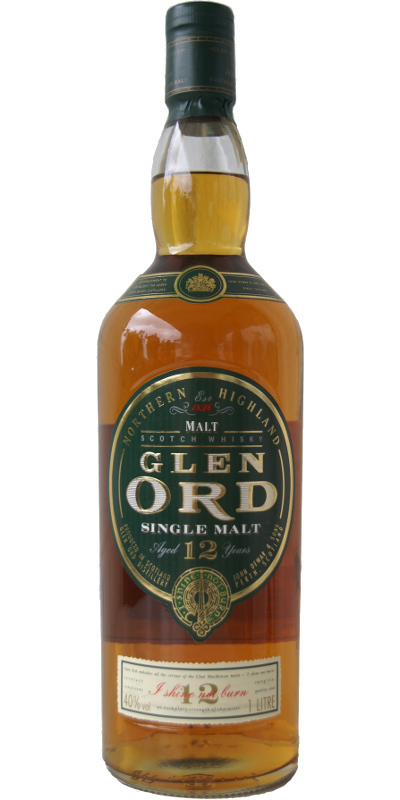 Glen Ord as we know it: malty, and rounded. From the nose, I think this is a mix of bourbon and sherry wood maturation. The classical malty notes, with biscuit, vanilla and cereals, and cut grass / mint are there. So are some notes of dried fruit, and nuts. For a non cask strength, the intensity is good. It's rounded, honeyed and malty. Think of heather honey, shortbread, vanilla, custard. Along with that, there is a nice note of dried fruit, apricot, and a slight earthy note of tobacco and peat smoke. Moderately long, slightly drying on pepper and ginger, but increasingly earthy with cough syrup, tobacco and a trace of peat smoke. Then, the roundness of malt comes through, along with marzipan.